Metabolomics, the science of the measurement and analysis of metabolites, has emerged as an important ‘omics’ technology throughout the stages of pharmaceutical research and development. Metabolomics has also shown potential in providing powerful biomarker signatures in a wide range of biomedical applications. This webinar will highlight recent advances in metabolomics for pharmaceutical research, drug development and precision medicine. Dr. Tim Bölke graduated as a medical doctor from the Free University of Berlin (Germany) in 1987 and is a certified pharmaceutical physician at the University of Cardiff (Wales), in cooperation with the Royal College of Physicians (London, UK). Dr. Bölke joined the pharmaceutical industry in 1988 occupying various senior research and development and business roles at Boehringer Mannheim (Mannheim, Germany), Roche (Basel, Switzerland), and Knoll and Abbott Laboratories (IL, USA) before joining BASF (Ludwigshafen, Germany) as Head of Global Marketing Pharma Solutions within the Care Chemicals Division in 2003. 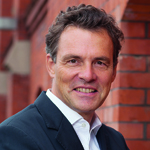 Since 2009, Dr. Bölke is the Managing Director of Metanomics Health GmbH (Berlin, Germany). With the divestiture of Metanomics Health by BASF and following the merger with Biocrates AG (Innsbruck, Austria) in January 2018, he has gained additional responsibility as Chief Medical Officer of the Biocrates Group.